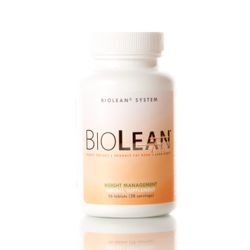 BioLean Free is a dietary supplement designed to reduce body fat, suppress the appetite, provide a healthy feeling of fullness, and improve metabolism of dietary carbohydrates, fats, and proteins. BioLean Free utilizes a strategic blend of vitamins, minerals, amino acids and herbal extracts that enhance fat utilization and energy production through several metabolic pathways. Key ingredients such as quebracho, green tea leaf extract, yerba maté and spices such as ginger and tumeric work together to promote healthy lipolysis, curb cravings, stimulate thermogenesis and increase energy without disrupting the healthy sleep cycle. Our weight loss products work in conjunction with a sensible diet and moderate exercise. This product is gluten free. BioLean Free is white listed by the Netherlands Security System Food Supplements Top Sport (NZVT). These statements have not been evaluated by the Food and Drug Administration. This product is not intended to diagnose, treat, cure, mitigate or prevent any specific disease or class of diseases. OTHER INGREDIENTS: Dicalcium phosphate, microcrystalline cellulose, croscarmellose sodium, stearic acid, film coat (hypromellose, hydroxypropyl cellulose and polyethylene glycol), silica and magnesium stearate. This formula is free of dairy, yeast, wheat, sugar, starch and artificial flavors. RECOMMENDED USE: Adults take 2 tablets in the mid to late morning with a low calorie food. If using BioLean Free for the first time, limit daily intake to one tablet on days one and two. Needs may vary with each individual. STORAGE INSTRUCTIONS: Keep in a cool, dry place. CAUTION: Not for use by children under the age of 18. If you are pregnant, nursing, taking appetite suppressing drugs or cardiovascular medication, if you have hypertension, heart disease, arrhythmias, prostatic hypertrophy, glaucoma, liver disease, renal disease, or diabetes consult your physician before using this product. Do not use if you have hyperthyroidism, psychosis, Parkinson’s Disease, or are taking Monoamine Oxidase Inhibitors. BioLean Free® should not be taken on the same day as BioLean®. It is recommended you minimize your caffeine intake while consuming this product. If allergic symptoms develop, discontinue use. Customers that ordered from our web site consistently return with repeat orders. We receive new product shipments weekly to ensure freshness. We ship all orders received before 2:00pm EST. We are one of the largest retail distributors of Wellness International Network, Ltd.
We respect your privacy, so your contact information is confidential. Copyright © 2018-2019 Supreme Wellness. All rights reserved. We reserve the right to refuse any order. We advise that you consult with your physician before taking any nutritional supplements. We are an Independent Distributor for Wellness International Network, Ltd. The content of this site was developed by an Independent Distributor for Wellness International Network, Ltd. Because Wellness International Network, Ltd. (WIN) exercised no control regarding the context contained herein, WIN assumes no responsibility for the content of this site. These products are intended for sale to consumers only. Independent Distributors are prohibited from purchasing products as such clearly violates the terms of WIN's Rules & Regulations.